Mythological fiction is a realm of literature which is very popular among literary enthusiasts. Books which have storylines having characters and incidents derived from Indian mythology are even more sought after by these aficionados because of the many layered characters and the depths of their portrayal; and the mesmerising narratives that despite being seeped in antiquity, give important life messages that are useful till perpetuity. 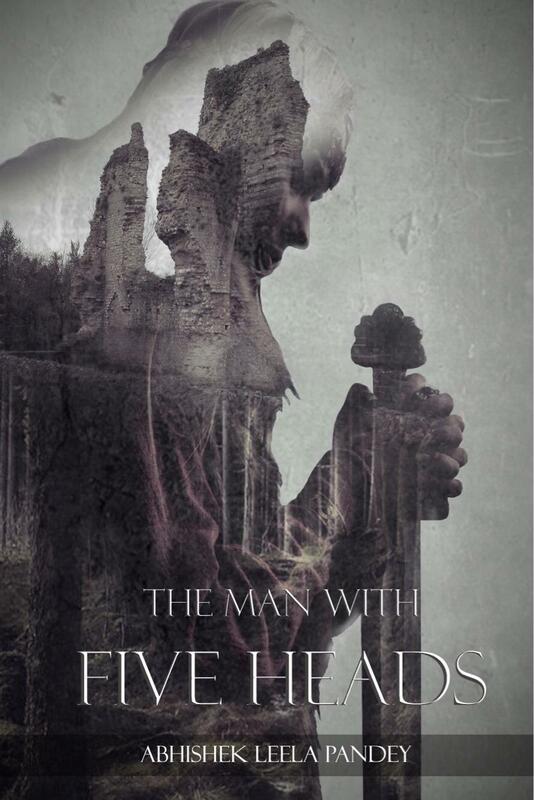 The author Abhishek Leela Pandey comes up with such a book “The Man with Five Heads”, which is an interesting take on the mythological creator Brahma. This is the first book in The Creation Series, which talks of Brahma, in the backdrop of human cultural development, starting from the Stone Age to the Vedic Age. The narrative of the book is divided into three parts chronologically. In the first part, Ved Vyas is having a conversation with his father and it details about the creation of the world and Lord Brahma. In the second part, Ved Vyas reads some secret documents about Lord Brahma. The third part describes the present events according to the timeline of the book. The book is an anthropological realistic take on the ancient texts of Hinduism, with the concept of Trinity being the central theme. The front cover of the book shows the wall of an ancient building in ruins, with deep roots and vegetation taking over it; overlaying this is a picture of a person with a sword in his hand, sticking its blade into the ground. Though tending to portray something antique and celestial; due to its somewhat inherent incoherence and monochromatic colour, the front cover is not that appealing. The blurb at the back cover is written vividly and well, and there’s lucidity and a certain build up in the lines that one is enraptured. The plot of the book is somewhat incoherent and despite the parts individually being quite cogent, the reader gets muddled while traversing from one narrative to the other. The character formation could’ve been improved, as the readers don’t get to know much about their inherent nature and intricacies as they haven’t been detailed well. Even where the detailing is good, the characters haven’t been explored in depth. The style of writing is good, with ample usage of adorned words and vivid quotes. This is a book having a novel concept, where the enigma of the creation of the world, the creator Brahma, and other such mythological terrestrial and empyrean mysteries are being delved into. The writing is eloquent, but the confusion created by the narrative and the loose threads in the end puts the reader in a conundrum. With the reader yearning for explanations and more explicitness from the narrative, this book should be read by only those who can make do without asking questions and getting confused, despite being intrigued. However, one certainly hopes that the loopholes in the storyline are delved into and detailed and explained well in the next book in the series.